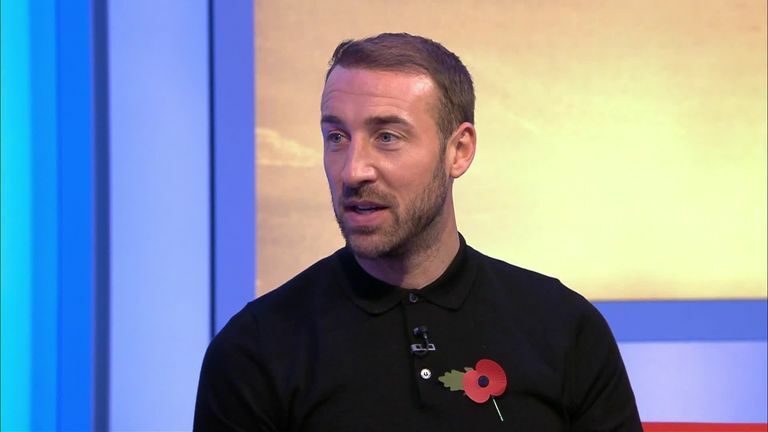 Glenn Murray admits he had given up even reaching the Football League as a professional before an opportune pre-season USA tour by Sunderland in 2004. Murray has scored six goals in his last eight starts in the Premier League for Brighton, with his latest strike sealing a 1-0 win over Wolves on Saturday meaning he now has a century of goals for the club. His rich vein of form has reignited some claims he should receive an England call-up, but the striker revealed his career may have never got off the ground were it not for Mick McCarthy's intervention 14 years ago. Murray was playing in the States, and he told Goals On Sunday: "I never imagined I'd make it in the Football League. Mick came out on a pre-season tour with Sunderland and invited me back. "I wasn't for him, unfortunately, but he asked if there was anyone I wanted to call. I said, '[then Carlisle manager] Paul Simpson, please.' Six weeks later he asked if I fancied coming for a reserves game. "I scored and the rest is history. It was all a knock-on effect of McCarthy coming over to the States on tour. I spent 10-12 weeks on trial with Carlisle. "Paul wasn't sure and he sent me down to Barrow to play some games in the Conference North. I scored 10 in 10 and left him with no option but to give me a contract. I've never looked back." It has been a whirlwind week for the 35-year-old, who revealed a text message of support from Newcastle defender Federico Fernandez following his head injury during Brighton's win 1-0 at St James' Park last weekend. The striker was treated for eight minutes on the pitch and subsequently taken to Newcastle's Royal Victoria Infirmary hospital after being knocked unconscious during the collision with Fernandez. Following a precautionary scan, Murray was discharged from hospital that night, and having followed the correct concussion protocol, returned to make the difference against Wolves. "I can't remember anything of it [the incident] to be honest," he added. "I've watched it back in some depth and it's a header I often go for and compete for. He's just caught me and it's a genuine attempt to win the ball. "Fernandez texted me after the game to say sorry and wished me well. It was just one of those things with two professionals going for the ball and it ended up like that. "I spoke to the physio and the fitness coach. You've got to be honest with yourself. I think health is the most important thing. Some of the questions are a little bit of a grey area, sometimes you wake up with a bad headache anyway. "I managed to train with the first team on Friday, and thankfully the gaffer stuck me back in on Saturday."